Don’t miss out on a free yoga class with Lesley Leake under the pavilion at Folly River Park on Oct 8th at 4 pm! 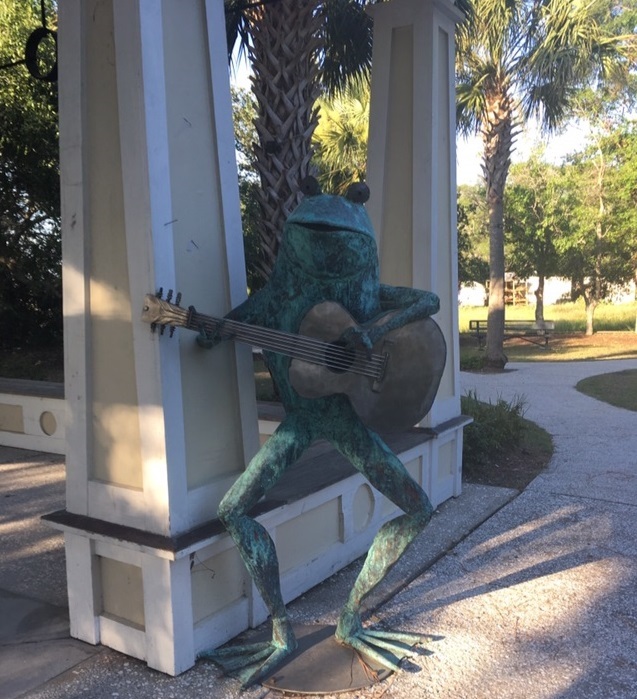 Bring or borrow a mat and come enjoy a free class before checking out the weekly Folly Beach Farmers Market where you’ll find handmade pottery, jewelry, one of a kind paintings, yummy treats to eat and so much more. Hope to see you there! This fun picture comes from the kid’s yoga teacher training from Kidding Around Yoga with Melody from last Sunday. 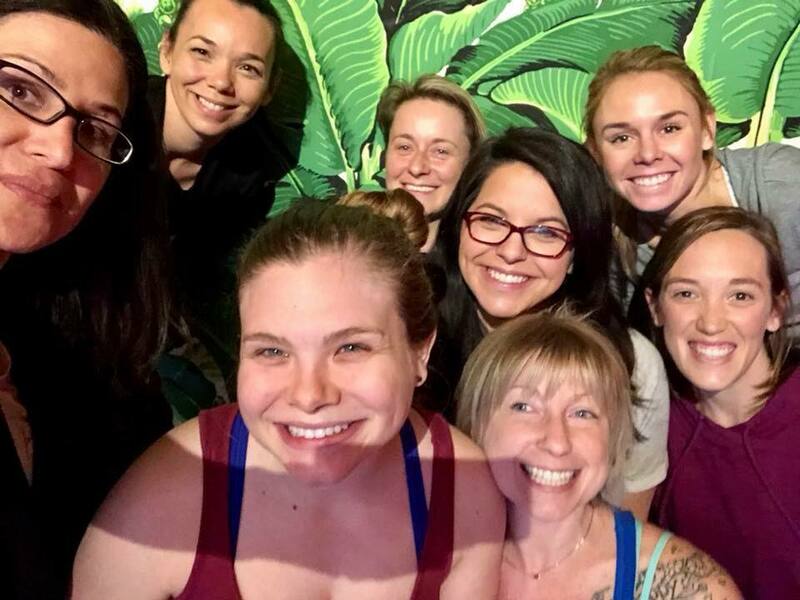 Jenny and Samantha participated in the training along with the rest of this amazing crew of women who are all donating their time and expertise to build the Lowcountry Autism Foundation’s new program “Autism + Om”‘s instructor team. Next Sunday, March 18 at 3 p.m. there will be a free family yoga class at Holy City Salsa Dance Studio in West Ashley. This will be the final day of our kid’s yoga teacher training. The class will be open to all kids of all ages and their families, and we so hope you can join us! After the class, the crew you see above will be awarded with kid’s yoga teacher certificates. We will then prepare to shift our focus to autism-specific kid’s yoga teacher training. 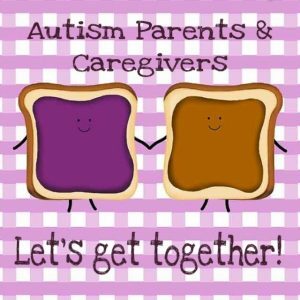 As an autism family we cannot express enough how needed this program is autism families in the Charleston, South Carolina area! Yep! It’s a thing! And what a great way to say goodbye to 2017 and welcome in 2018! Staying in the Charleston, South Carolina area this New Year’s Eve? Don’t wait to start your New Year’s resolutions – experience yoga by the sea with us today! Staying on Folly Beach to ring in the new year with the Flip Flop drop? We’d love to help you prepare for your big night out on the town! We can come to you at most homes and rental houses on the island, as well as offering private seaside sessions on the sand at the 5th Street East beach. Send us a quick message to get your private session planned! We were so completely bummed that beach yoga had to be cancelled on Veteran’s Day due to the wind and cold, so we decided to squeeze in one last class for the Fall season! Join us on Saturday, November 18, for our final public beach yoga class of the season! The class is just $12 for the public, and we will once again honor the offer for a free class for all of our military and U.S. service veteran friends with an ID or DD-214. The class will be taught by Samantha Kreshover and will be open level. Bring a large beach towel or two and plenty of water! If you can’t make this class, consider booking a private session with us. 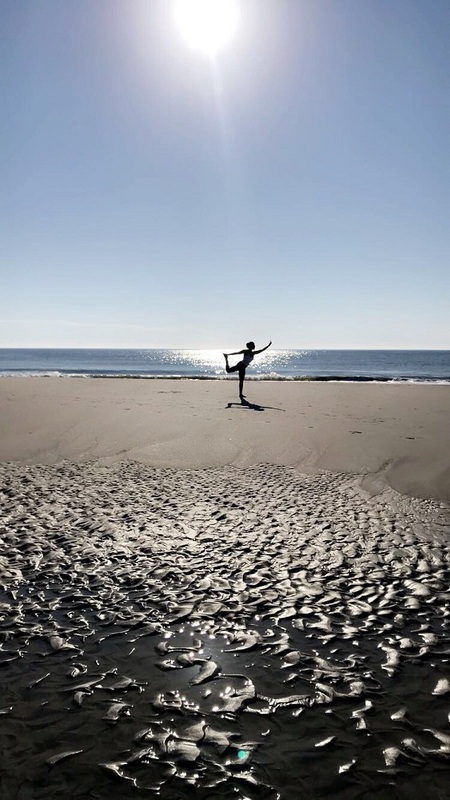 We love working with friends, families, or individuals who want to experience yoga by the sea and we offer reasonable rates and flexible scheduling. Beach yoga makes the perfect kickoff to Thanksgiving week, a birthday party celebration, wedding week, and more, and it’s more affordable than you think to schedule a private class. Contact us today! 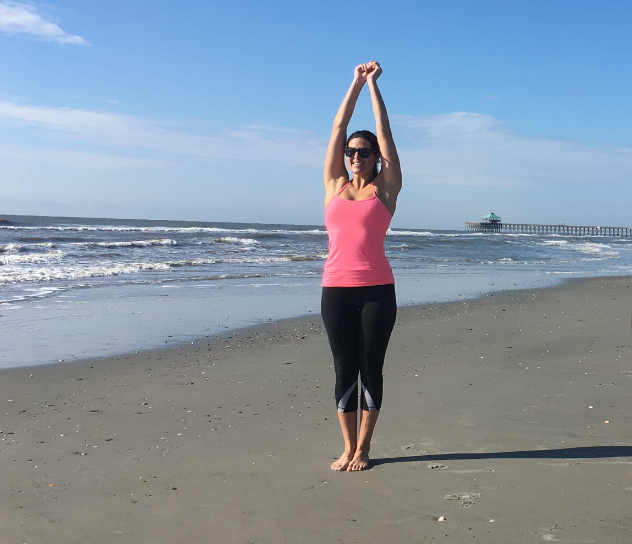 Don’t forget this weekend you can catch a beach yoga class with Samantha on Saturday morning at 9 am on the 5th Street East beach, Folly Beach. This public class will be open level. After your class, don’t forget that FollyPalooza, a local cancer benefit festival, will start at 10 a.m. on Center Street. The festival is celebrating 10 years this year, is dog-friendly, and this year will have some added features, including a dedicated Kids Zone. If you can’t make it Saturday, come see Lesley on Sunday, Oct 22 at 9 a.m. for her last Sunday class of the Fall season! Can you believe it is August already? Neither can we! Summer flies by wayyy too fast! We have a fun weekly Folly Beach schedule all ready to go though! For a quick glance, I’ve pasted the schedule below, but remember to always check our schedule to see if we’ve added any additional times and dates. For our outdoor weather classes any changes on cancellations will be listed on our Facebook page. If there is bad weather expected nearby do not just assume it will hit the beach–it often bypasses us. Check Facebook for the latest news. Tuesday, 8/1 – Beach Yoga Class with Matt Foley – 5th Street East Beach, Folly Beach – 7 p.m.
Wednesday, 8/2 – Beach Yoga Class with Matt Stevens – 5th Street East Beach, Folly Beach – 7 p.m.
Friday, 8/4 – Autism Parents Free Sunset Beach Yoga Class – 5th Street East Beach, Folly Beach – 7 p.m.
Saturday, 8/5 – Beach Yoga with Matt Stevens – 5th Street East Beach, Folly Beach – 9 a.m.
Saturday, 8/5 – Kids Beach Yoga with Melody – 5th Street East Beach, Folly Beach – 9 a.m.
Saturday, 8/5 – Yoga Upstairs at St. James Gate Irish Pub, 11 Center Street, Folly Beach – 11 a.m.
Sunday, 8/6 – Yoga Upstairs at St. James Gate Irish Pub, 11 Center Street, Folly Beach – 10 a.m.
Tuesday, 8/8 – Beach Yoga Class with Matt Foley – 5th Street East Beach, Folly Beach – 7 p.m.
Wednesday, 8/9 – Beach Yoga Class – 5th Street East Beach, Folly Beach – 7 p.m.
Friday, 8/11 – Autism Parents Free Sunset Beach Yoga Class – 5th Street East Beach, Folly Beach – 7 p.m.
Saturday, 8/12 – Beach Yoga with Matt Foley – 5th Street East Beach, Folly Beach – 9 a.m.
Saturday, 8/12 – Kids Beach Yoga with Melody – 5th Street East Beach, Folly Beach – 9 a.m.
Saturday, 8/12 – Yoga Upstairs at St. James Gate Irish Pub, 11 Center Street, Folly Beach – 11 a.m.
Sunday, 8/13 – Beach Yoga with Lesley Leake – 5th Street East Beach, Folly Beach – 9 a.m.
Sunday, 8/13 – Yoga Upstairs at St. James Gate Irish Pub, 11 Center Street, Folly Beach – 10 a.m.
Monday, 8/14 – Beach Yoga with Lesley Leake – 5th Street East Beach, Folly Beach – 7:30 a.m.
Tuesday, 8/15 – Beach Yoga Class with Matt Foley – 5th Street East Beach, Folly Beach – 7 p.m.
Wednesday, 8/16 – Beach Yoga Class with Matt Stevens – 5th Street East Beach, Folly Beach – 7 p.m.
Friday, 8/18 – Autism Parents Free Sunset Beach Yoga Class – 5th Street East Beach, Folly Beach – 7 p.m.
Saturday, 8/19 – Beach Yoga with Matt Foley – 5th Street East Beach, Folly Beach – 9 a.m.
Saturday, 8/19 – Kids Beach Yoga with Melody – 5th Street East Beach, Folly Beach – 9 a.m.
Saturday, 8/19 – Yoga Upstairs at St. James Gate Irish Pub, 11 Center Street, Folly Beach – 11 a.m.
Sunday, 8/20 – Beach Yoga with Lesley Leake – 5th Street East Beach, Folly Beach – 9 a.m.
Sunday, 8/20 – Yoga Upstairs at St. James Gate Irish Pub, 11 Center Street, Folly Beach – 10 a.m.
Monday, 8/21 – Beach Yoga with Lesley Leake – 5th Street East Beach, Folly Beach – 7:30 a.m.
Tuesday, 8/22 – Beach Yoga Class with Matt Foley – 5th Street East Beach, Folly Beach – 7 p.m.
Wednesday, 8/23- Beach Yoga Class with Matt Stevens – 5th Street East Beach, Folly Beach – 7 p.m.
Friday, 8/25 – Autism Parents Free Sunset Beach Yoga Class – 5th Street East Beach, Folly Beach – 7 p.m.
Saturday 8/26 – Beach Yoga with Matt Foley – 5th Street East Beach, Folly Beach – 9 a.m.
Saturday, 8 /26– Kids Beach Yoga with Melody – 5th Street East Beach, Folly Beach – 9 a.m.
Saturday 8/26 – Yoga Upstairs at St. James Gate Irish Pub, 11 Center Street, Folly Beach – 11 a.m.
Sunday, 8/27 – Beach Yoga with Lesley Leake – 5th Street East Beach, Folly Beach – 9 a.m.
Sunday 8/27 – Yoga Upstairs at St. James Gate Irish Pub, 11 Center Street, Folly Beach – 10 a.m.
Monday, 8/28 – Beach Yoga with Lesley Leake – 5th Street East Beach, Folly Beach – 7:30 a.m.
Tuesday, 8/29 – Beach Yoga Class with Matt Foley – 5th Street East Beach, Folly Beach – 7 p.m.
Wednesday, 8/30 – Beach Yoga Class with Matt Stevens – 5th Street East Beach, Folly Beach – 7 p.m.
Friday, 9/1 – Autism Parents Free Sunset Beach Yoga Class – 5th Street East Beach, Folly Beach – 7 p.m.
Saturday, 9/2 – Beach Yoga Class – 5th Street East Beach, Folly Beach – 9 a.m.
Saturday, 9/2 – Yoga Upstairs at St. James Gate Irish Pub, 11 Center Street, Folly Beach – 11 a.m. Tomorrow is our last June beach yoga class for autism parents and caregivers. It starts at 6:30 p.m. Remember to bring sunscreen, a large towel, and plenty of water. We hope to see you there! 5th Street East Beach, Folly Beach, SC. Paid parking and some limited free street side parking is available. Thank you to all who submitted their feedback on the ideal day and time for the class. After careful consideration we will begin offering the classes on Fridays at 7 p.m. through the month of July 2017. Folly Beach Movies on the Beach – Free Event! Throughout the summer the Tides hotel of Folly Beach offers free movies on the beach on Wednesday nights (weather permitting). Bring a blanket, sheet, or towel to sit on and enjoy a memorable night under the stars at this family friendly event by the ocean. Remember to get there early enough to get a good seat as this is a very popular event. 843-588-6658 for any questions.